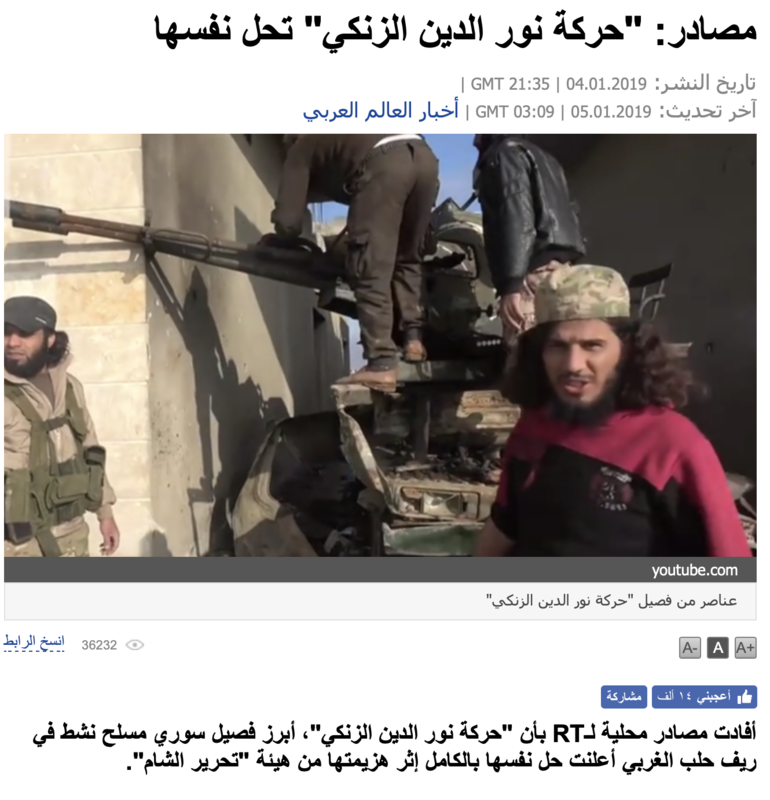 Russia Today website cited what it called “local sources” and said Nour Eddin al-Zinki group dissolved after it was defeated by Hayyet Tahrir al-Sham HTS. 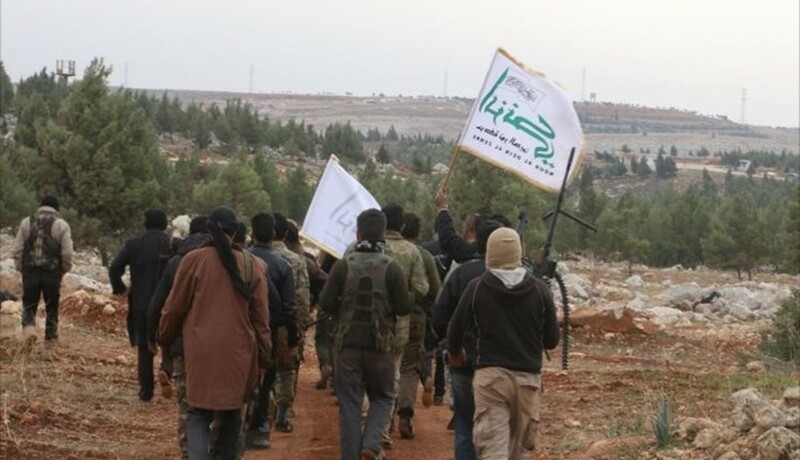 According to the news which was widely shared by several news websites such as Iranian news agency “Faris News Agency”, that commanders of Haraket Nour Eddin al-Zinki which is affiliated with Turkish-backed National liberation Front fled to Turkey, Efrin and Ephurates Shield areas in north Syria. 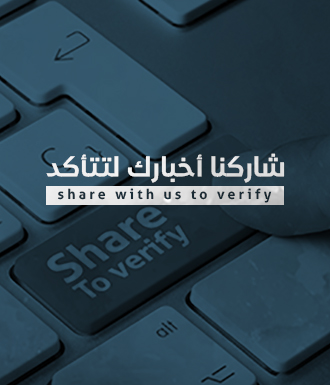 Verify-Sy contacted a member of the political office of Nour Eddin al-Zinki group who prefers to stay anonymous and he denies dissolving the group and accused Hayyet Tahrir al-Sham of spreading rumors about the alleged dissolve. The official Telegram channel of the Shari office of Nour Eddin al-Zinki shared a statement denying the dissolving claim and also accused HTS of being the source of this claim. Worth to mention that several cities and towns in Aleppo western countryside witnessed fierce clashes between NLF-affiliated Nour Eddin al-Zinki and Hayyet Tahrir al-Sham which caused the death of several civilians before HTS advanced and captured majority of Zinki areas.